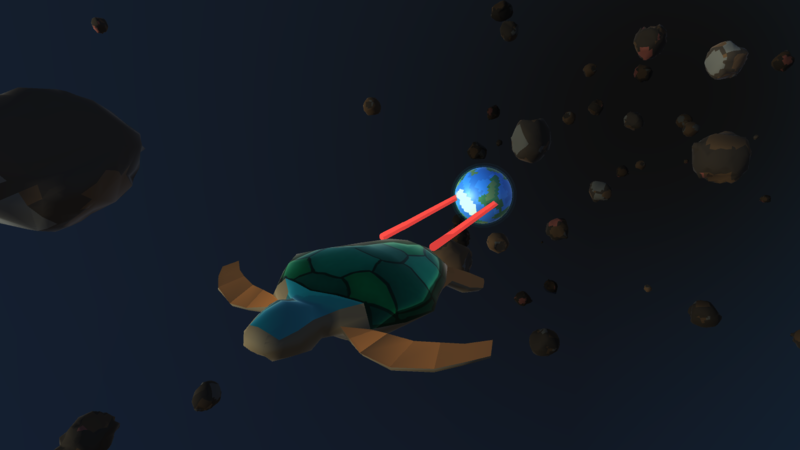 You are an ancient and majestic space turtle. Tethered to your shell is a small world, home to many strange and wondrous creatures. Hurtling towards you is a fearsome storm of space rocks, which you must navigate if this precious world is to survive. Change log: I removed a line of code in the compo build allowing the score multiplier to be increased by pressing spacebar. I've also uploaded a post-compo build, with the addition of an "invert y axis" toggle in the options menu. Someone has unfortunately wiped the leaderboards. The top score achieved before the wipe was ~1400, by "Solithian". This game was made in 48 hours for Ludum Dare 38. Full project source is available here. can the Linux build be re-exported as a universal so that both 32 bit and 64 bit os versions of Linux can run it?